Named after the oak trees so prevalent in the area, Paso Robles may as well be the Wild West of American wine making. Driving up highway 101 seems like a straight shot through a modern day western flick. The sun is fierce; the land is arid. Plaid-clad farmers ride around in tractors and horses. Fields and vegetable patches are furiously irrigated. The region is rugged, full of mountainous terrains and a bit of a tumble. Barely 30 miles west of the Pacific Ocean, a maritime influence blows a fresh breeze during the day and facilitates a cool plunge at night. Yet despite this “Marlborough Man” exterior, it is precisely the unique combination of complex topography, diverse climates and terroirs that gives Paso Robles the license to make great wine. From Bordeaux to Rhone varietals, Spanish and even heritage clones of Zinfandel, some of which are over a hundred years old already, Paso Robles wineries mainly follow the Bordelais or Rhone-style model. This means blending wine in Paso is king. With over forty varietals cultivated in the area, quality producers focus on creating their own versions of les grand vins and succeed at doing so albeit with a distinct Californian flair and muscular flex. Despite the fact that blended wines rule, single varietal wines achieve tremendous success as well. 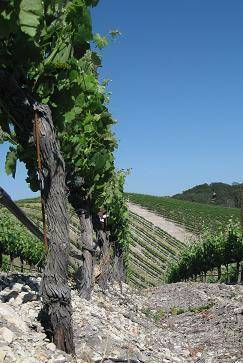 Haute Wines brings you three vastly different examples of Paso Robles wines. Cheers! to the many faces of Paso Robles. 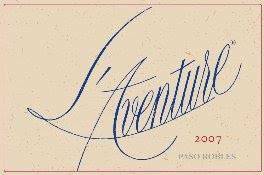 L’Aventure Estate Cuvee, Paso Robles, CA, 2008, $90 – A blend of 50% syrah, 36% cabernet sauvignon and 14% petit verdot, L’Aventure Estate Cuvee is an inky, purple black pour of a wine intensely extracted and aromatically rich. Alluring dark chocolate, mocha fudge and sweet five spice swirl out of the glass while black cherry compote and tart black currants explode on the palate. The Estate Cuvee manages to be extremely dense, yet incredibly soft, supple and curvaceous at once. Justin Isosceles, Paso Robles, CA, 2007, $75 – Bordelais in style, Isosceles is a predominantly cabernet sauvignon based wine – 88% cabernet sauvignon, 8% cabernet franc and 4% merlot. The wine captivates the drinker with rich espresso, dark, Dutch cocoa and baking spices on the nose. 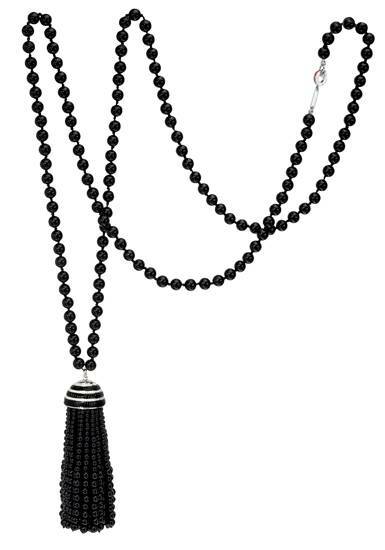 A deep, dark black fruit core (black plums, cherries, currents, figs) is intense and layered with the same spices and chocolatey notes apparent at first sniff. Intense and brilliant in its youth, Isosceles is an age worthy wine so it is best to keep it cellared for the next few years. Treana Red, Paso Robles, CA, 2007, $50 – Treana Red is a Paso Robles flagship wine made by the Hope Family. The most masculine of the three wines, this cabernet sauvignon/syrah blend is dusty and leathery with some coffee, black pepper notes and a good layering of red and black fruit. Good tannic structure surrounds a dollop of dried figs, red and black cherries, plums and a piney, herbaceousness. The finish is long, long, long and best enjoyed with a grilled ribeye straight off of your best friend’s grill. Please note some wines are very limited in production and therefore difficult to find. If interested in acquiring, visit www.epicuriouschic.com and we can assist in sourcing these wines. Follow me on twitter @epicuriouschic.